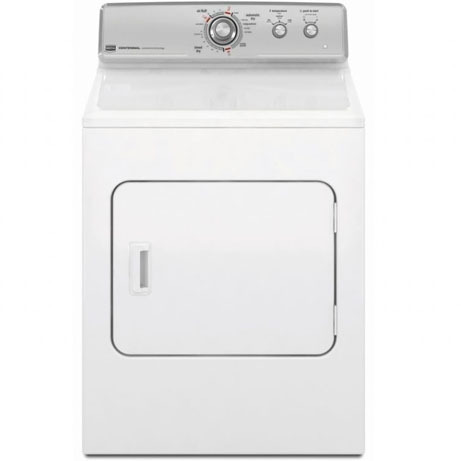 This Maytag Tumble Dryer is designed as a Semi/Commercial Appliance. This Tumble Dryer has a massive 10.5kg Drum and comes with a 6 month commercial warranty on parts and labour provided by Maytag direct. Unlike domestic 13 amp appliances, this Commercial Dryer has a 4.6kW power consumption which means a 30amp power supply is required. This gives it enough power to use in Shared Housing, Supported Living, Hotels, Launderettes, Restaurants and another commercial premises where you can’t afford to wait around! This Maytag Tumble Dryer looks fantastic with its American Style Buttons and Dials and is designed to be put through its paces. Before you think about getting this impressive appliance for your home, please remember it is too tall to fit under a work top and is 738mm wide.